Winnie G. Wang, Esquire cares about her clients and fights for them. Her passion for law arose from her own experiences as an immigrant, confident she could help others navigate the often confusing and time-consuming immigration process. She brings over 12 years experience in employment and family based immigration. Winnie is also experienced in commercial and residential transactions, matrimonial law, Wills and Trusts, and personal injuries. Winnie graduated from Beasley School of Law at Temple University in 2002. She is licensed to practice in Pennsylvania and New Jersey. She is also admitted to U.S. Court of Eastern Pennsylvania District and U.S. District Court of New Jersey. 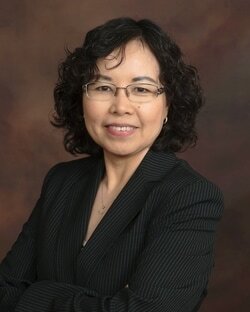 Winnie is a former partner of Bobrin, Shore, Newman and Wang in Philadelphia, Pennsylvania. She is the owner of the former Law Offices of Winnie G. Wang. In her free time, Winnie enjoys going to concerts, shows, movies, hiking and spending time with her family. Winnie is bi-lingual, fluent in Chinese Mandarin. ​Jenny J. Hou, Esquire is a Penn State graduate and received her J.D. from Widener School of Law in 2010. Jenny is a trial attorney and a Certified Arbitrator who has unique experiences in criminal, immigration, and commercial law. Jenny moved to the United States when she was seven years old and is fluent in Mandarin Chinese. Jenny has strong sense of fairness and justice, which compelled her to begin her legal career at the Defender Association of Philadelphia, one of the nation’s highest regarded public defender offices. Jenny zealously advocated for her clients, most of whom were very young and under-privileged citizens. 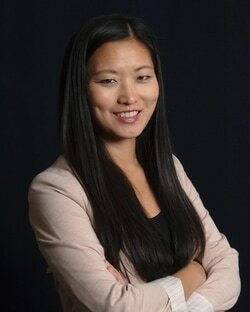 Jenny took her exceptional courtroom skills to Hing Cheng P.C. in Philadelphia where she worked as an Associate and developed her skill and expertise in Civil matters. Jenny speaks Chinese mandarin.